Pte. Buckam Singh (real name Bukkan Singh) was born on December 5, 1893 in Mahilpur, Punjab. His father’s name was S. Badhan Singh Bains and his mother’s name was Chandi Kaur. On March 1903, at the age of 10 years, Buckam Singh was married to Pritam Kaur of Jamsher village in Jalandhar District of Punjab. At that time, it was common in Sikh families to arrange the marriage of their children at a young age. Although married at a young age, the couple would typically not be allowed to see each other or live together until they had reached the adulthood when a ceremony called “Muklawa” would be performed to formally consummate the marriage. Pritam Kaur’s father was Bhagwan Singh Gill and her grandfather’s name was Nihal Singh Gill. Buckam Singh came to British Columbia in 1907 when he was only 14 years old. In those days, Sikhs already living in Canada could not bring their families due to harsh immigration laws; hence his wife Pritam Kaur couldn’t join him in Canada. After mining in British Columbia for few years, he moved to Toronto around year 1912-1913. In the spring of year 1915, he enrolled himself with an Ontario battalion of the Canadian Expeditionary Force. 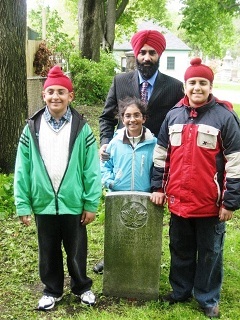 He was one of the first Sikh Canadian World War-1 Soldiers. He was engaged as a farm hand for W. H. Moore, of Rosebank Ont., when the call came for active service. He went overseas with a Kingston battalion. In the year 1916, in the battlefields of Flanders in Ieper (Belgium), he served with the 20th Canadian Infantry Battalion. He was wounded twice in two separated battles. He was treated at a hospital run by Doctor Lt. Colonel John McCrae, who wrote the immortal poem ‘In Flanders Fields’. Private Buckam Singh was shifted to England for this treatment where he contracted tuberculosis. 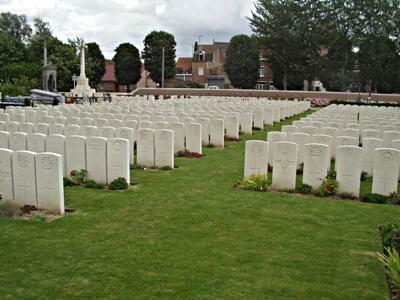 Finally, he was transferred to Ontario Military Hospital in Kitchener, where he died on August 27, 1919. 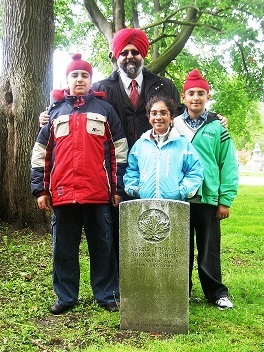 His grave, in Kitchener’s Mount Hope Cemetery, is the only known WWI Sikh Canadian Soldier’s grave in Canada. 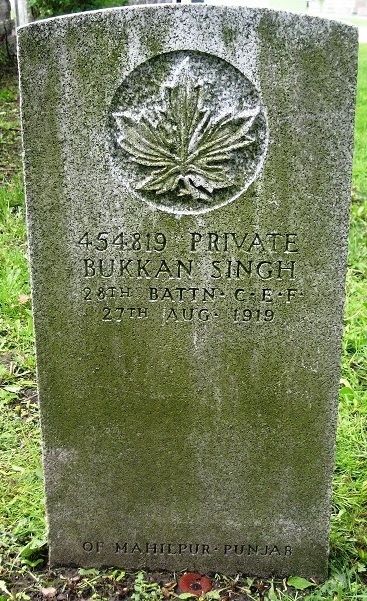 It is depressing that Buckam Singh never got a chance to see his family again and died forgotten but it is exciting that he is not forgotten any more as his heroic story is now being reclaimed and celebrated by Canadians Sikhs on Remembrance Day. He’s a real Canadian Sikh hero! Flanders Fields Museum, Ieper, Belgium. PERTAB SINGH, Driver, 14214. Ammunition Col. Royal Horse and Field Artillery, Indian Army. 24th February 1915. Son of Sibba Singh of village Ajnoha, Distt. Hoshiarpur, Punjab. Sp. Mem. (S.W.). AJIT SINGH, Lance Naik, 15127. 1st Bn. 12th. Frontier Force Regiment. 22nd May 1944. Age 23. Son of Tam Singh and Rattan Kaur; husband of Gurbakhsh Kaur of village Jatpur, Distt. Hoshiarpur, India. Panel 19. BIKRAM SINGH, Sepoy, 23829. 1st Bn. 2nd Punjab Regiment. 1st September 1944. Age 19. Son of Shiam Singh and Rukman of village Pandori Ganga Singh, Distt. Hoshiarpur, India. Panel 17. DALIP SINGH, Driver, 21157. 2 Field Regt. Royal Indian Artillery. 19th November 1943. Age 20. Son of Hazara Singh and Dhanwanti of village Jangliana, Distt. Hoshiarpur, India. Panel 16. MALKIT SINGH, Sepoy, 2207, 1st Battalian, 2nd Punjab Regiment. 6th September 1944. Age 18. Son of Praba Singh of village Rileh, Distt. Hoshiarpur, India. Panel 17. NAGINA SINGH, Sepoy, 25272. 4th Bn. 11th Sikh Regiment. 4th September 1944. Age 26. Son of Natha Singh and Chanan Kaur of village Bihala, Distt. Hoshiarpur, India. Panel 19. PRITAM SINGH, Sepoy, 21699. 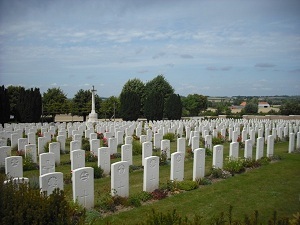 6th Royal Bn. 13th Frontier Force Rifles. 10th April 1945. Age 21. Son of Dalip Singh and Sant Kaur; husband of Charan Kaur of village Bhahowal, Hoshiarpur, India. Panel 20. BAKHSHI SINGH, Sepoy, 23187. 1st Bn. 2nd Punjab Regiment. 20th May 1944. Age 19. Son of Dalip Singh and Raj Kaur of village Jallowal, Distt. Hoshiarpur, India. Column 12. CHANAN SINGH, Sepoy, 33716. 3rd Bn. 15th Punjab Regiment. 1st February 1945. Age 26. Son of Wariam Singh and Haro; husband of Rakhi of village Binjon, Distt. Hoshiarpur, India. Column 22. SARWAN SINGH, Lance Naik, 11662. 34d Bn. 15th Punjab Regiment. 14th May 1944. Age 23. Son of Dharam Singh and Dhanko of village Kalewal Fattu, Tuto Mazara, Disst. Hoshiarpur, India. Column 22. 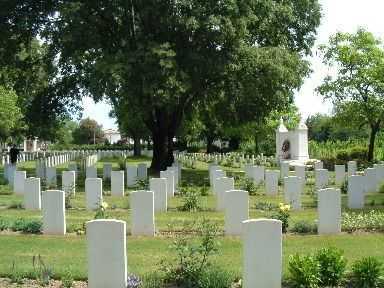 Sangro River War Cemetery, Contrada Sentinelle, Torino di Sangro, Province of Chieti. GURDAS SINGH, Sepoy, 11983. 3rd Bn. 15th Punjab Regiment. 31st December 1943. Age 22. Son of Harnam Singh and Basanti of village Pathrala, Distt. Hoshiarpur, India. Column 18. KUNDAN SINGH, Sepoy, 4645. 124th Duchess of Connaught’s Own Baluchistan Infantry attd. 47th Sikhs. Died of wounds 2nd August 1915. Brother of Phuman Singh of village Baddon, (Nadolan), Distt. Hoshiarpur, Punjab. III. P. 3. MELA SINGH, Sepoy, 4629. 124th Duchess of Connaught’s Own Baluchistan Infantry attd. 47th Sikhs. Killed in action 23rd August 1915. Son of Bholi of village Paldi, Distt. Hoshiarpur, Punjab. III. S. 1. DALIP SINGH, Sepoy, 929. 15th Ludhiana Sikhs. 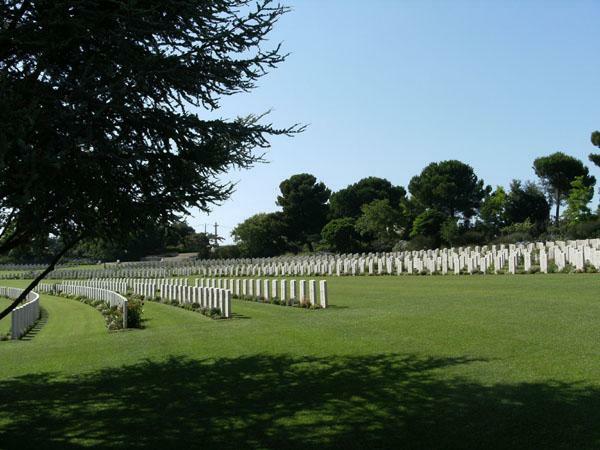 Died of wounds 29th April 1915. Son of Ralli of village Gopalian (Jangniwala), Distt. Hoshiarpur, Punjab. V. M. 947. 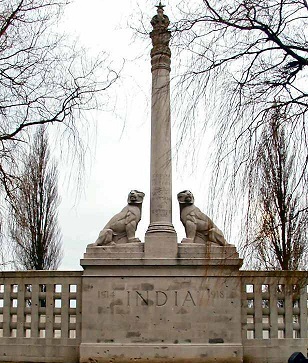 Neuve Chapelle - India's memorial in France 1914-1918. The column and the battle honours. 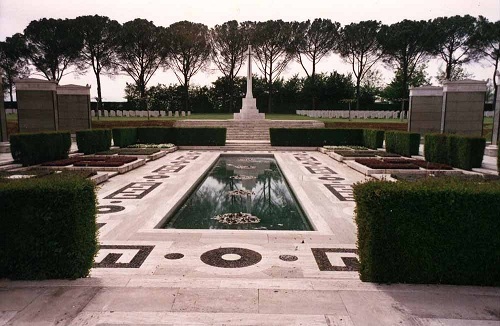 Neuve Chapelle - India's memorial in France 1914-1918. 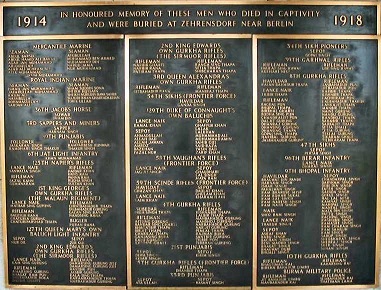 Plaque of Honours. 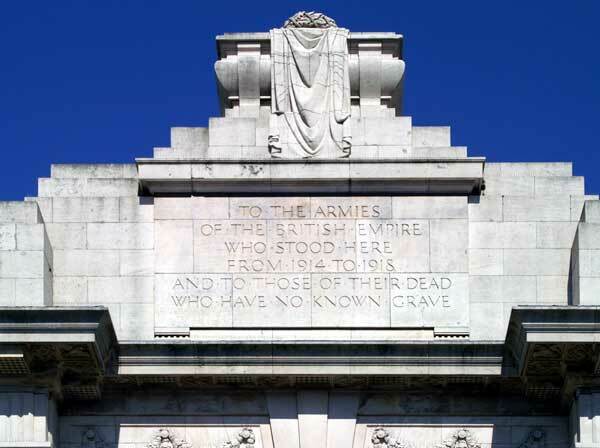 Neuve Chapelle - The writing on the column (written in English, Arabic, Hindi and Gurmukhi).